In recent years, major results were reported on Brain-Computer Interface / Brain-Machine Interface (BCI/BMI) applied to rehabilitation in scientific reports and papers. This subject received much attention within the Society on Communication, Navigation, Sensing and Services (CONASENSE) during the period 2013-2015. 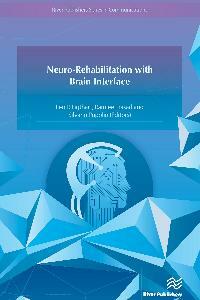 Describing the state of the art on various BCI/BMI activities related to neuro-rehabilitation is the central theme of this book. The latest insights coming from neurophysiologists, neuropsychologists, ICT experts specialized in clinical data management and from representatives of patient organizations are elucidated and new ways for “BCI/BMI applied to rehabilitation” using advanced ICT are introduced. The book describes the latest progress in and is an appeal for an approach leading to more cost-saving multi-disciplinary neuro-rehabilitation.